Low-E glass simply refers to low-emissivity glass. It was first produced in 1979 and led to transformation of windows in terms of energy efficiency. This type of glass is 24% more superior in terms of insulation as compared to normal plain glass. This means that windows made using Low-E glass are more energy efficient. Low-E glass is manufactured by spreading a very thin and transparent coat of metal oxide or metal on the surface of normal glass. The metal compound is what gives this glass its unique properties as it prevents large amounts of ultraviolet light from penetrating through the glass by either absorbing or reflecting the UV rays. The metal coat is important as it allows in light and absorbs its heat to keep the home cool during the summer season and in a similar manner prevent heat loss from the home during the winter season. This greatly improves the windows energy efficiency. The solar energy together with your home’s heating system ensure that the house remains warm. 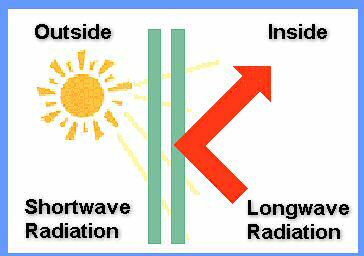 If your windows had ordinary glass instead of Low-E glass, then the long-wave heat would easily be lost through the same window. This unique glass windows will ensure that your home remains warm all through the winter season and also lowers your heating costs. Low-E glass has reflective properties and as such is able to decrease visible transmittance 10% more than ordinary uncoated glass. This in turn decreases glare and also lowers heat loss through windows. This type of glass is also able to re-radiate all the heat absorbed from the sunlight back to the room thereby allowing light into the house without letting any heat escape. The Low-E glass has numerous benefits. It helps lower your energy bills allowing you to make significant savings while also helping your home cooling and heating systems to operate effectively. This glass is very clear and cannot easily be perceived by the naked eye. When used with a double-pane or triple-pane window, it ensures maximum energy efficiency. Apart from its energy saving benefits, this coated glass helps to lower the rate at which the carpet and the furniture in your home fades. This is because fading usually results from excess UV radiation that is known to affect dyes and colors. UV radiation also damaged pieces of clothing including; curtains and drapes. Another major advantage of Low-E glass is that it lowers the cost of air condition during the summer season. This is mainly because it help to keep out excess solar heat making the home cooler which translates to lower cooling costs. Double-pane windows with ordinary glass tend to show moisture/condensation build-up between the glass sheets after some time. This never happens to similar windows that use the Low-E glass. Despite its numerous advantages Low-E glass also has its own limitations. This glass may block solar heat from the house during the winter months and also trap heat generated by electric lights in the home during the summer months. This however is a minor limitation that should not discourage you from using this type of glass for your exterior doors, windows, and patio doors, as it is highly energy efficient. Given that windows are responsible for the highest percentage of heat loss in a home, the Low-E glass will come in handy in lowering heat loss as well as monthly energy costs. In the long run the savings made will be more than the initial costs of such windows. Low-E glass is available in different qualities and prices.